At English Funeral Chapel we are committed to providing opportunities for you and your family to heal after the loss of a loved one. Whether you choose to do that with a traditional funeral or a unique, fully personalized ceremony, we are able to help fulfill your needs whatever they may be. We operate out of the Coeur d'Alene and Post Falls areas, and our team of compassionate and experienced funeral directors are always on hand to answer your questions. One common concern families have surrounds the cost of the funeral. Although here at English Funeral Chapel we offer pre-paid plans, when these are not in place funeral arrangements can be made even more stressful when it’s time to consider the cost. With this in mind, we work closely with LendingUSA, who can provide affordable funeral loans, a simple hassle free application, and an empathetic service at your time of need. 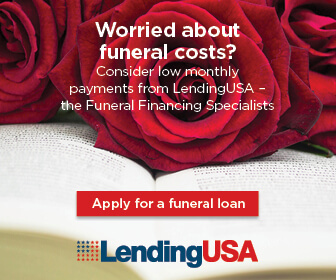 Whether you're about to make your initial call or have already started discussing funeral arrangements with us, ask your funeral director about LendingUSA funeral loans if you're concerned about how you will cover the cost. Finance provided by an external partner. An origination fee of 8% will be charged by the lender and will be included in the principal loan amount. Contact LendingUSA for a formal quote based on your circumstances and for full terms and conditions. 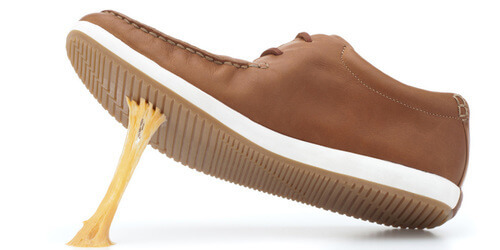 A credit and financial assessment will need to be completed prior to acceptance of any offer or product. *To avoid paying interest on the unpaid principal, including interest accrued during the six-month promotional period, you must pay the principal amount of your loan by the due date of your sixth scheduled monthly payment, and make each of your first five scheduled monthly payments by their due date. The Zero Interest Rate on Principal Option Promotion includes a non-refundable origination fee.